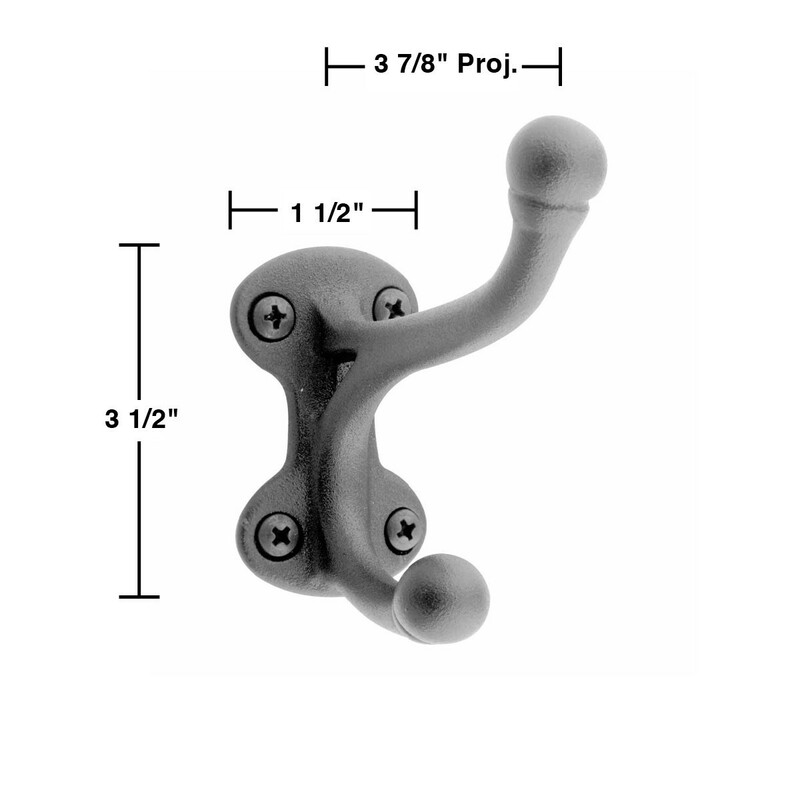 Brass Coat Hook Black RSF 3 1/2 H x 3 7/8 proj. 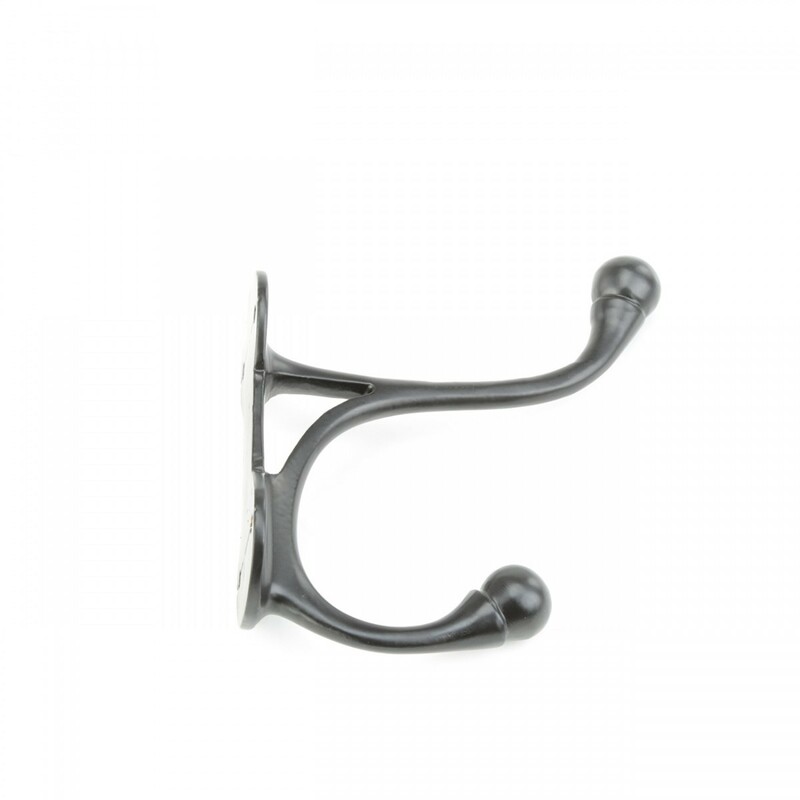 (2) pieces Brass Coat Hook. 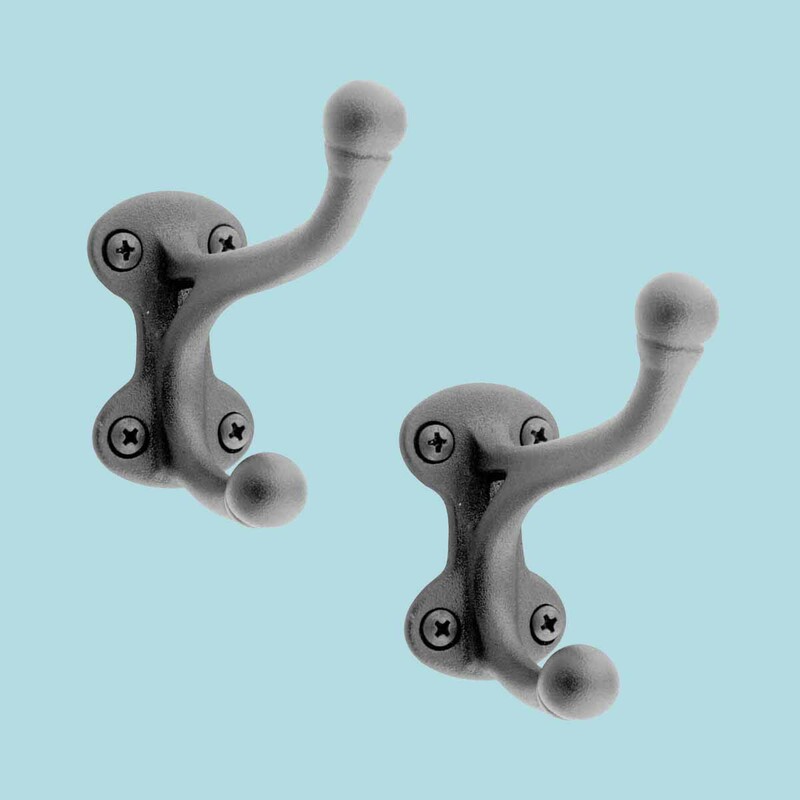 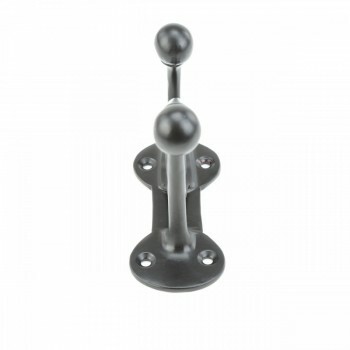 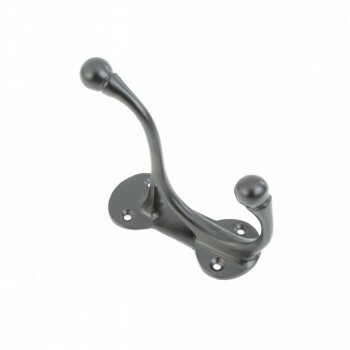 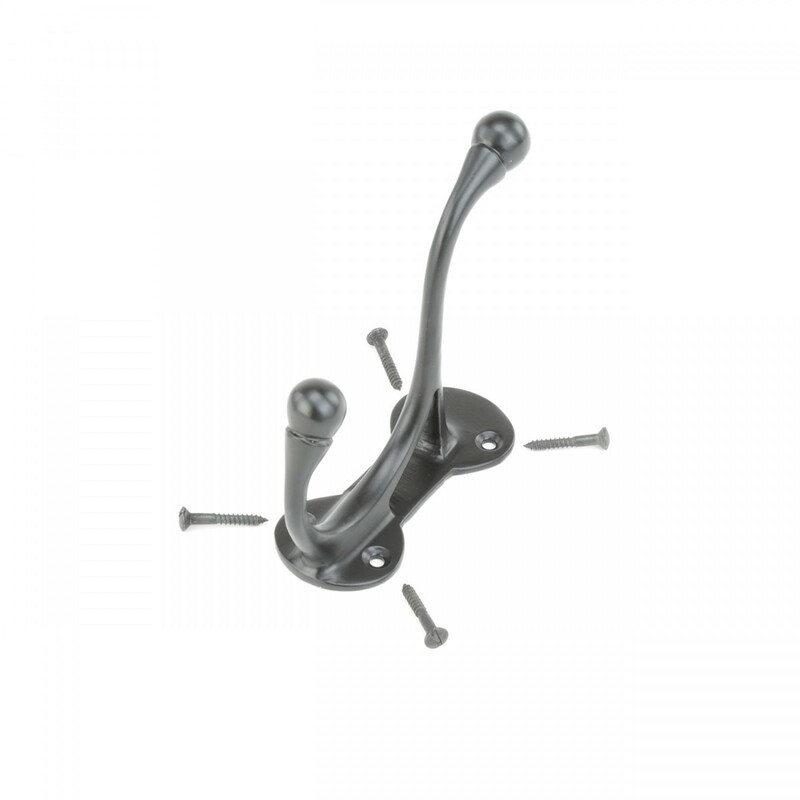 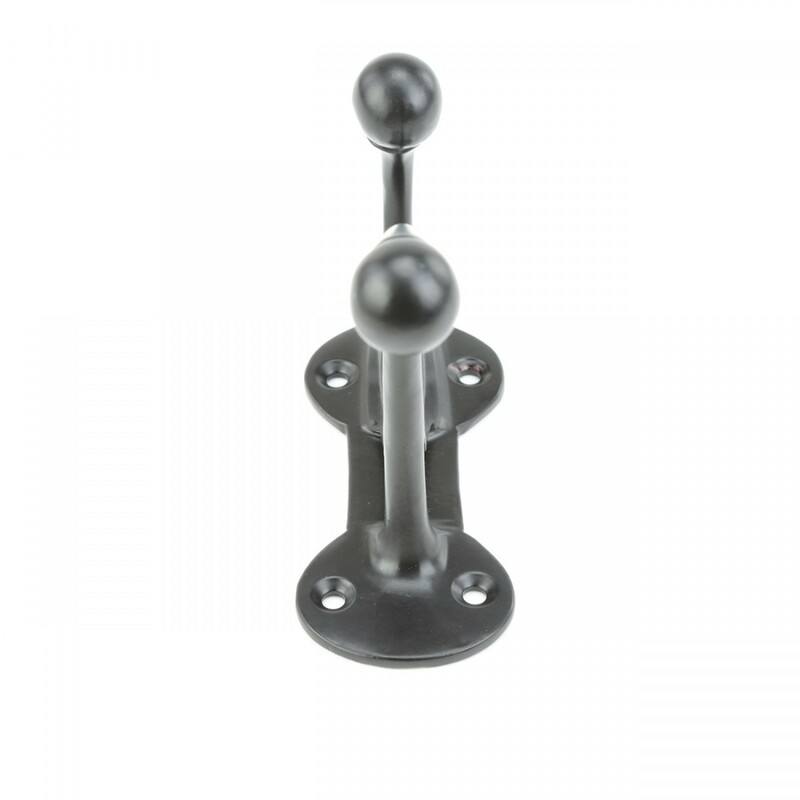 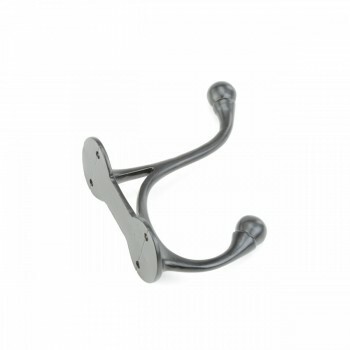 This double robe hook features a black powder coated finish over brass. Measures 3 1/2 in. H.